There are some bikes that deserve more than to be shot at NAHBS. THat’s what I told myself anyway with this bike. When Adam brought his “Sklunker” to Connecticut this year for the show, he asked if I wanted to shoot it. My answer was “hell no! we’ll shoot it in Bozeman instead.” His face lit up since we had only briefly talked about hanging out in Montana briefly and already I was committed. Fast forward a few months and here we are, amidst the green grass and high mountains of this quaint little mountain town. Now, going into this, I should note a conversation Cam from Falconer and I had, specifically about Wade from Vulture Cycles’ bike I shot. Wade was stoked to see the photos, but he texted with Cam expressing, “John’s photos are rad, but he called it a klunker and it’s a cruiser!” Inside the klunker elite, there is a known misnomer they are particularly sensitive to. You see, single speed, coaster brake, hand-brakeless bikes like Adam’s are called “cruisers” and geared bikes, with brakes are called “klunkers.” The problem is, most people call coaster brake, single speed bikes “klunkers.” At some point, if there is an accepted misnomer, does it become acceptable? Well, maybe amidst that population, but the purists will always hold true. For the purposes of this article, I’m calling this bike the “Sklunker” because that’s what Adam calls it. Perhaps one day I’ll rope Cam or Wade into writing an article about the “klunker” versus “cruiser” debate, but for now, I’ll leave it at that. Back to this bike. Adam had a good amount of scrap tubing laying around when NAHBS approached. Earlier in the year, he bought a tube bender to make unicrown forks, which he tested out before deciding to build the matching frame. He didn’t build this bike to bring to NAHBS, it just happened in a serendipitous way. So, he had the fork, and frame, but what about the parts? His buddy Corbin from Black Sheep makes these heat sink cooler hub shell clamp on jammers that prolong the lifespan of coaster brakes and reduces the wear and tear on the shell. They’re called Flat Out. They’re $100 and are pretty neat! So Adam pulled together some parts, made a half-assed attempt at drillium cranks, pulled the steel bars from his fatbike and began to build up the Sklunker. 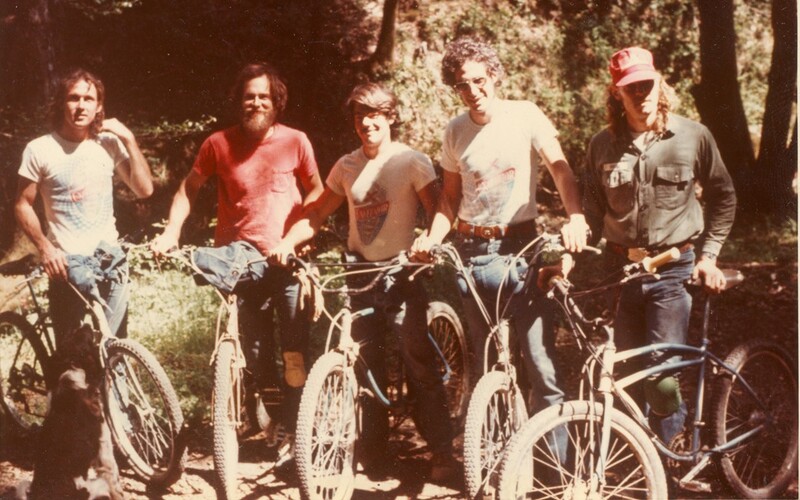 He built up some wheels, including a NOS Nukeproof hub he had, put the beefiest tires he could fit in the frame and fork, and boom, he had a pretty slick bike. Worthy of NAHBS even, but not planned specifically for the event. For finishing, he consulted his painter, a local hot rod artist, and Steve from Alter Cycles on a patina wash spray – which is essentially an acid-base used to cause steel to oxidize at a rapid rate – which he applied in his shop sink, and then Adam coated the frame, fork, and bars with wax. The result is one of the slickest bikes I’ve seen come from the workshop of Sklar Bikes and I’m sure you all will enjoy this one! Follow Sklar Bikes on Instagram.